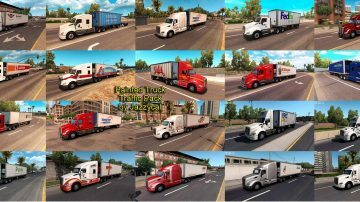 Version 1.7 – added new companies: PAM Transport, ABCO Transportation, Contract Freighters Inc., KLLM Transport Services, Jim Palmer Trucking, Veriha Trucking. 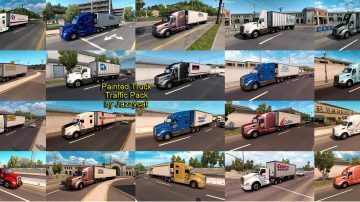 Pack adds in traffic truck+trailer combo with skins of 53 real companies. nice truck, do you have any others ?